Go to the best omakase spot in San Francisco and ask the sushi chef where you should go next - anywhere else. His recommendation? Buy a fishing rod, drive two hours up the coast, and wait. A small man will tap you on the shoulder. Follow him. That’s all you need to know for now. Just kidding. He'll actually just tell you to head west to Sushi Wako. The tasting menu at Wako, on vastly underrated Clement Street, is pretty much a copy of the holy-grail omakase at Kusakabe. It's even a little cheaper. But if you’re dead set on having a sushi chef decide exactly what you're going to eat, and you're willing to spend as much as the $75 (roughly 12 avocado toasts) for that experience, you might as well spend the extra $20 (4 single-origin drip coffees) for Kusakabe. It's just a peg higher in our books. That said, if you want to steer your own sushi ship, head to Wako. Unlike Kusakabe’s all curated all the time setup, the S.S. Wako lets you order a la carte, and they also do a nigiri-only omakase in addition to a full tasting menu. 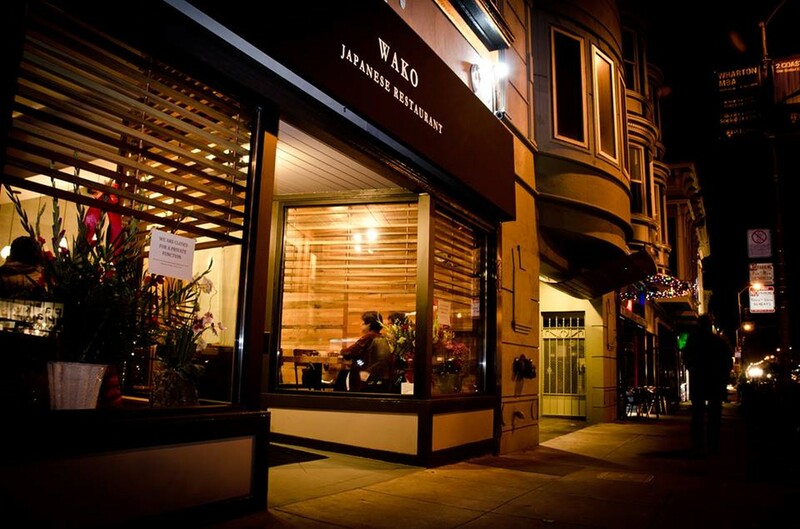 Wako has a neighborhood feel, but local cred only goes so far - Inner Richmond neighbors get turned away along with everyone else, because the 20-seat restaurant is very small. Seriously, it’s no bigger than a San Francisco living room - not even the one you converted to another bedroom. If you’re coming to Wako, skip the full tasting menu and go for either for the omakase nigiri or order a la carte - we've got some recommendations on how to do so below. When you’re done, ask the chef at Wako where he goes out for sushi. If it involves a fishing rod, good luck. Bluefin Tuna from Spain and Nagasake Butterfish - both raw cuts are insanely tender. And don’t skimp on the house soy sauce. Cherry Blossom shrimp in japanese sweet potato pancake - a latke, as the chosen people call it, with bits of shrimp. Not kosher. Still amazing. Get this. The chef’s choice nigiri is the way to go if you want sushi. A few favorites: kelp-marinated Hokkaido halibut, the Spanish mackerel with ginger miso paste, the Stripe Jack, and Chinook king salmon from Canada. You don't have to remember all that, just eat what you're given and leave happy. House panna cotta. We know sushi chefs have knife skills, but you have to see how tiny they chop the kiwi and strawberry on this. Mind boggling mincing.